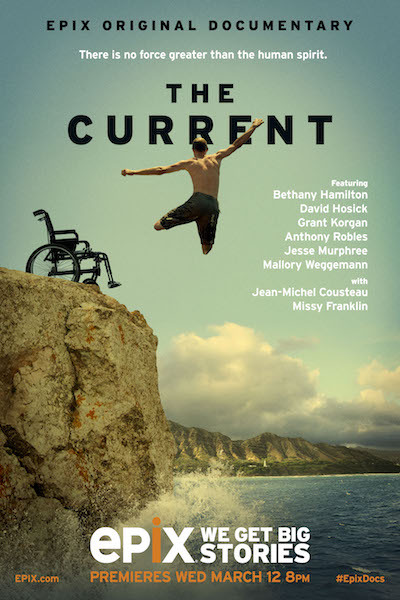 Featuring breathtaking underwater landscapes, Current follows individuals with disabilities as they discover new ways to experience freedom of movement through water sports, including scuba diving, surfing and swimming with dolphins. Participants include renowned “soul surfer” Bethany Hamilton and Olympic gold medalist Missy Franklin. Featuring Jean-Michel Cousteau and narrated by his son Fabien, lifelong champions of the healing power of the world’s oceans.